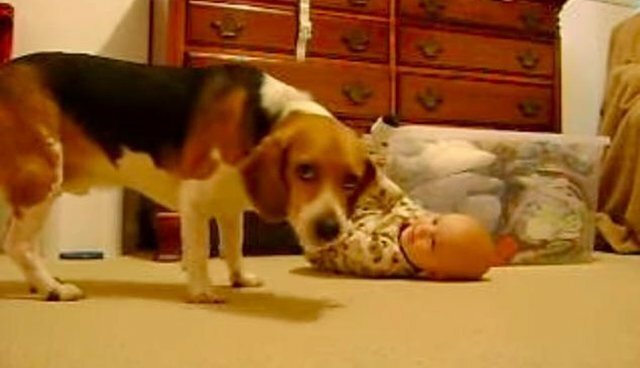 Scott Moore had no idea what his four-legged child would think of a real-life human baby - "My wife and I were worried about how the dog would react to a baby," he wrote on YouTube. 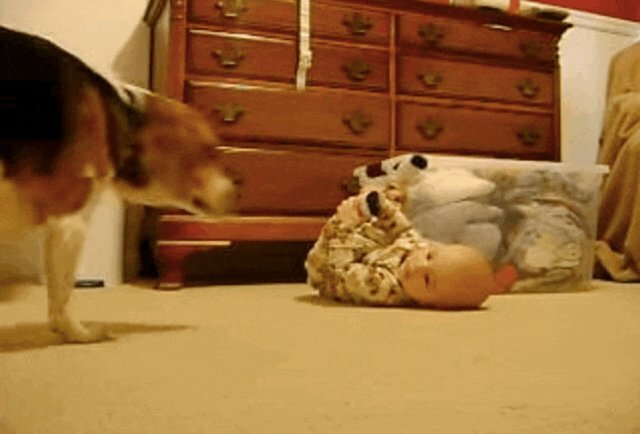 But at first, his beagle didn't seem to have much of a reaction at all. 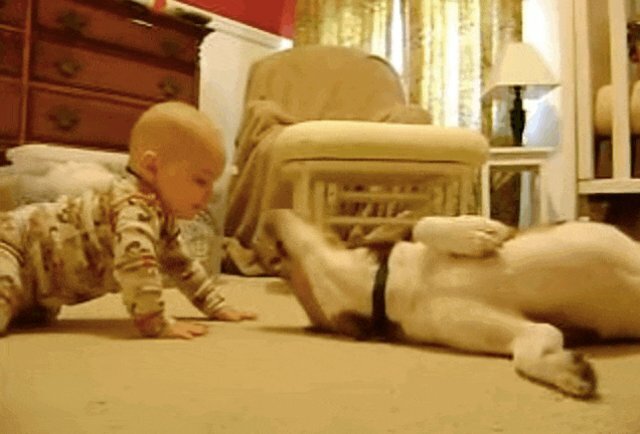 Until the pup flipped over adorably, like he was trying to say, "OK baby, you're the new cutie in the house. You run the show now." 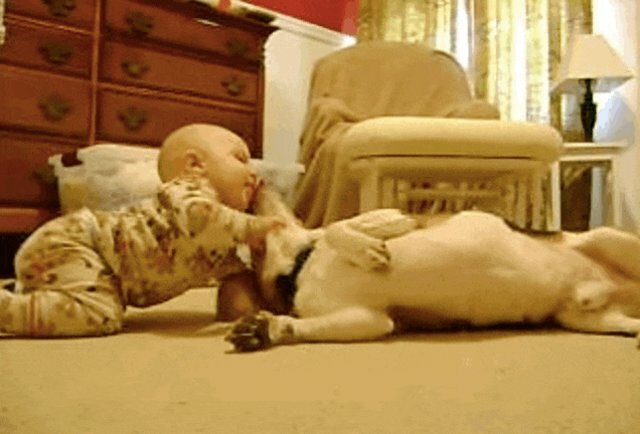 And after that, it's all kisses and snuggles. In fact, letting the dog and the baby hang out might have been a mistake, Scott, because now they're going to be totally inseparable.